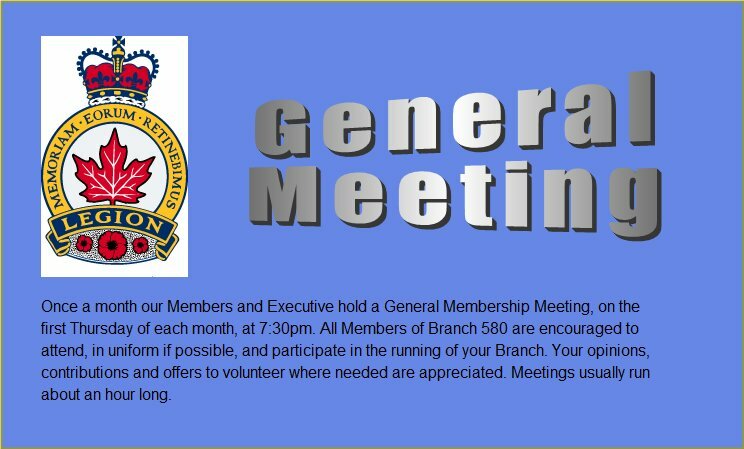 Our monthly General Meeting is tonight. This meeting was rescheduled from last week due to weather. Come out and support your Branch Officers & Executive. Have a say in how your Legion is run. All members are encouraged to attend. We’ll have 3 new members sworn in tonight too!